such as busy roads, train tracks or from construction activities. trialling them on its campus first. 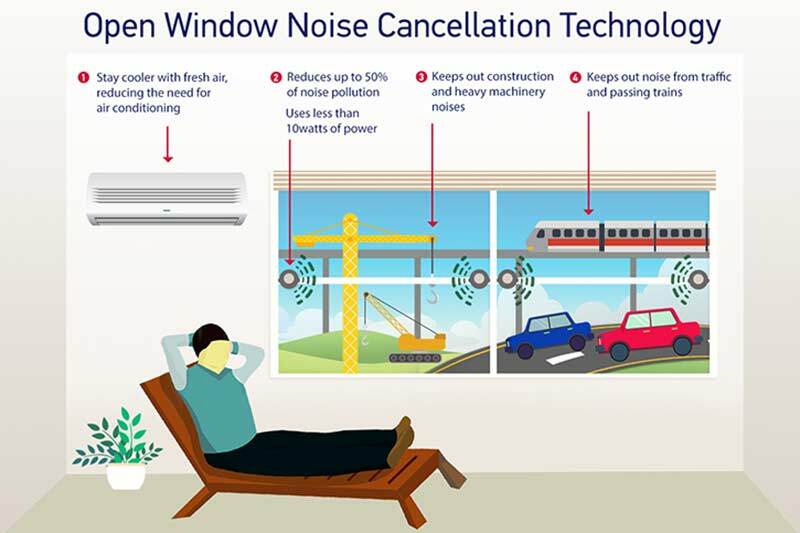 need for air-conditioning to keep the interiors of buildings and homes cool. together to form a grid-like array on a window grille to reduce external noise. attributes of the incoming noise are computed in real-time. sites, jet engines and trains were used as noise sources during the tests. needs and provide tech-based options for future generations.